The London School of Osteopathy Open Day Tuesday 14 May. Open Days take place at our college on Grange Road. The day starts at 10.00am. At the Open Day you will be able to tour the college, meet with staff and students and find out more about our degree courses. 14th April sees the start of Osteopathic Healthcare Week, an opportunity for us all to focus on our health, with key advice and tips from your osteopath that you can easily introduce into your daily lives to keep you healthier and happier. During osteopathy healthcare week, osteopaths will be posting on Osteopathy for Health Facebook page with useful advice on keeping active, keeping healthy at work, healthy aging and more. Osteopathic care is focused on optimising the health of people, and is suitable for people of all ages, from babies to the elderly. People who visit an osteopath consistently report high satisfaction with the care they receive1 and express high confidence in the treatment and advice of their osteopath2, with rates in excess of 90% for both satisfaction and trust. The London School of Osteopathy has been training osteopaths for over 70 years. The course includes in-depth study of anatomy, physiology and pathology alongside softer skills such as psychology and communication. Research and business skills are also part of the package. Osteopaths use a wide range of safe and effective hands on techniques that focus on improving mobility and optimising function, together with useful health advice and exercise. People commonly visit osteopaths for musculoskeletal issues, such as back, neck, joint, muscle and arthritic conditions, but people also visit osteopaths for a variety of other health reasons which may benefit from osteopathic care. 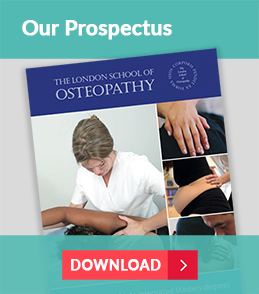 People who are interested in training to become an osteopath can register for the London School of Osteopathy Open Day which takes place on Tuesday 14 May starting at 10.00am. Potential students will be able to take a tour of the facilities at their college on Grange Road, Bermondsey and meet with staff and students. 196% of osteopathic patients expressed confidence in osteopathic treatment and advice, You Gov Pubic Perceptions survey 2015. 293.2% of osteopathic patients felt that their experience of osteopathy was very good, Patient Reported Outcome Measures, adult data, 2017. Osteopathic practice comprises of safe and effective approaches, utilising manual therapy, exercise and health advice, with the aim to optimise the health of patients. Osteopaths are regulated by law and a recognised allied health profession by NHS England. 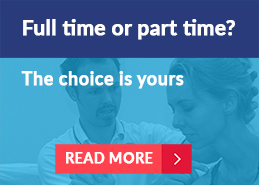 Osteopaths are trained to degree level and undertake over 1000 hours clinical training at undergraduate level prior to graduation and must be registered with the General Osteopathic Council to practise in the UK. The Institute of Osteopathy (iO) is the professional membership body for osteopaths, dedicated to support, unite, develop and promote the osteopathic profession for the improvement of public health and patient care. 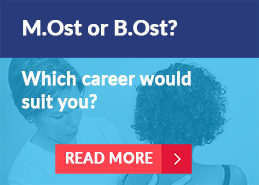 The Institute represents over two thirds of osteopaths in the United Kingdom.